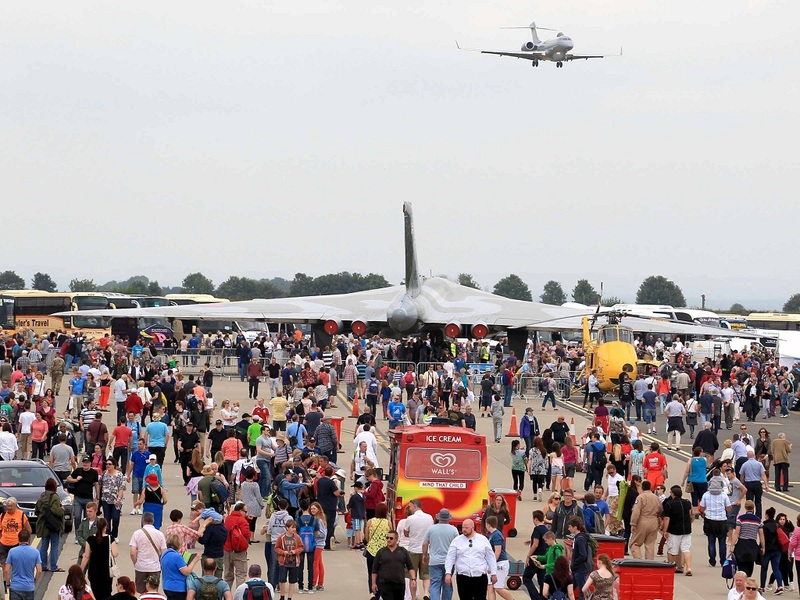 The RAF Waddington Air Show had yet another immensely successful year attracting in excess of 135,000 visitors over the 2 days of the 2014 Show and raising £260,000 for Service and local charities. The organisers are thrilled to announce that with 85% of the profits split between the Royal Air Force Benevolent Fund (RAFBF), the Royal Air Force Association (RAFA), Royal Air Force Charitable Trust and the RAF Museum, each good cause will receive a huge £55,250 donation. The first two charities provide practical and emotional support to all members of the RAF past and present who are in need. The two new recipient charities are closely entwined in the RAF Family. The Royal Air Force Charitable Trust exists to promote the Royal Air Force, to support its people and to encourage air mindedness amongst the Youth through education; while the RAF Museum ensures that the Royal Air Force’s story endures and enriches future generations. On top of this the local community will benefit from a £39,000 donation to Station Charities. The RAF Waddington Air Show has raised a staggering £3.5 million over its 20 years. “Given the operational commitments of RAF Waddington, further complicated by the runway refurbishment, everyone at RAF Waddington shares a massive sense of achievement and pride. To put on such a spectacular show takes a lot of commitment, from the station personnel, the local community and partner organisations, who all support the Air Show in a myriad of ways. The Air Show is undoubtedly a unique opportunity to showcase the people and capability of the Royal Air Force; moreover, the charitable donations make a real difference to both the Service and local communities.